The time has come to answer the call and choose a side. Gamemasters, your time is here. Contained within this book is information you need to make Colonial Gothic your own. The topics found within will help you bring the colonial period of America to life. In addition you will be treated to a host of rule options, new features, and other items that allow you and your players to tailor the game to suit your needs. There is more than just rules found here. Within this book lurks many secrets that some might be too afraid to discover. Gamemaster is written to bring you a new means of using Colonial Gothic. Within this book you will find, numerous new ideas and expansions, including: Extensive guidance of the creation and usage of hooks, New uses for action points to bring swashbuckling to your games, New ways to tailor make combat to suit your needs, Rules to allow your players to create their own magic, Rules for ships and combat on the seven seas, More details about life in the colonies, Rules on the use and creation of your own cults and secret societies. 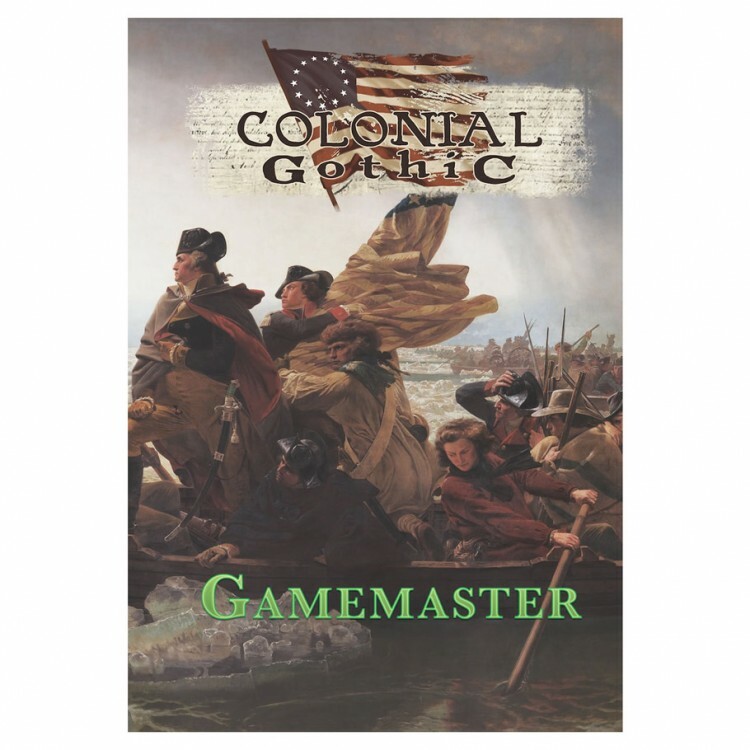 Gamemaster gives you more tools for your Colonial Gothic games. Use them to create the game you want!